We have successfully set up business relationships in USA, UK , Australia and other countries and region. If you are interested in any of our products, please feel free to visit our website or contact us for more information. We are looking forward to establishing long lasting business relationships with you in the near future. 3) Where is your factory&gt; Changle Fuzhou City , Fujian Province, China 4) How many machines do you have9 And what kind of machine9 40 machines , machines include raschel machines, computerized machines and Karlmayer machines. 5) Do you have your own dyeing factory9 NO, we have several dyeing factories co-operating with us , which passing oeko-tex , and dyeing system could pass AATCC and so on. 6) Could i visit your factory9 You are welcome to visit our factory, which is near the FUZHOU CHANGLE INTERNATIONAL AIRPROT , and we could arrange to pick you up there. 8) All products have passed RoHS & SGS, and use environmental protection raw material to dye, conform to the European environmental protection standards. We have advanced machinery equipment,high quality production and high skillful management team. And we have powerful productivity 2.Our company has own factory and domestic&foreign team, the quality of the products can be controlled very well . 1 YRS Guangzhou Uni.& Co. Plastic And Hardware Accessories Co., Ltd.
) of the fillet, edge, etc Delivery time : 7 to 15 days Terms of payment : T/T, Western Union, Paypal Products show Europe and The United States standrad production line , including lace fabric, collar,applique and trimming products. 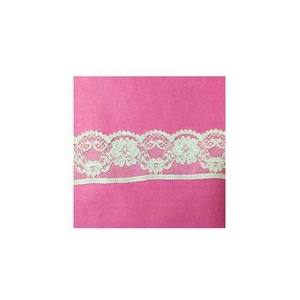 We can specialied in customied with high quality products, please contact us&hellip; Factory Our factory is a professional lace fabric,applique,collar and trimming manufacture with covering an area 1000 square meters and we have 500 staff. With 17yeas experiences and as a global leader on garment accessories industry in Europe and The United States, Southeast Asia, Australia and more, we have professional exporting experiences with the cooperation of more than 350 clients in different countries. 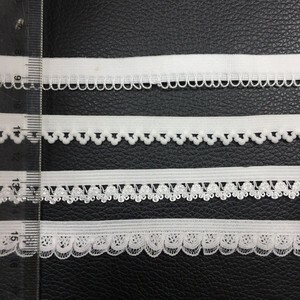 Elastic Lace for Shoulder Strap 1. Polyester or nylon materials with width 16mm. 6. Color can be dyed to match, size and design can be customized. 8. Shipping by sea, by air or by express, as your request 9.Payment term: TT or West Union. 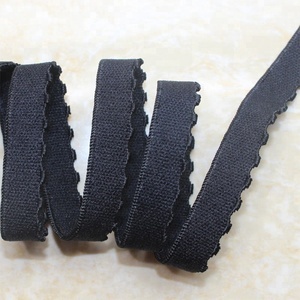 2 YRS Hangzhou Dongjiang Thread Belt Co., Ltd.
3Q:Is the MOQ fixed9 A:For mass production orders,the MOQ cannot be lowered according to production requirements. 4Q:How long is the delivery time for product 9 A:Different products and quantities have different procedures and different timing. We may promise that we can try our best to finish all of your orders within the shortest time. 2. 100% manufacturer: Small MOQ, Good price, Fast delivery, High quality, Good services. 3. Location: located at the world manufacturing center-Dongguan city (right between Hongkong & Canton Fair city-guangzhou),about 10 minutes away from Dongguan Railway Station. 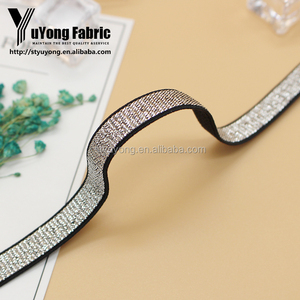 Dongguan Xinda Ribbon Factory Contact Person: Carol Chen E-mail: Skype: carol. Each section needs to be stitched by hand, these are very beautiful and special nailed bead lace, all handmade, very class. 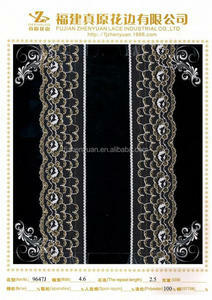 Suitable for all kinds of clothing lace, belt, cuffs, neckline, hoodie, shoes, bags, etc. 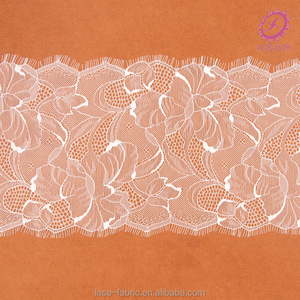 * Rosette lace fabric: available in many colors, you pick up the color * Soft and Romantic . High 3% Oeko-tex-4 Apparel-trimming Home-textile,Bags Shoelace,etc. High 3% Oeko-tex-4 Apparel-trimming Home-textile,Bags Shoelace,etc. Commodities Lead time Shipping String Usually 15-20days Express UPS,DHL,TNT,ect. each section needs to be stitched by hand, these are very beautiful and special nailed bead lace, all handmade, very class. 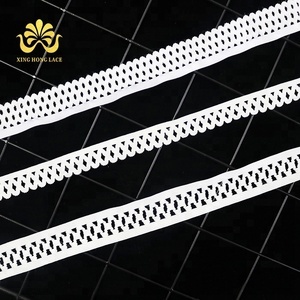 suitable for all kinds of clothing lace, belt, cuffs, neckline, hoodie, shoes, bags, etc., wide application. we have different price ranges (discounts) based on different order quantities. 3Q:Is the MOQ fixed9 A:For mass production orders,the MOQ cannot be lowered according to production requirements. We may promise that we can try our best to finish all of your orders within the shortest time. (2)Excellent and high quality control. (5)Good quality ,reasonable price. (6)OEM and small order could be acceptable. 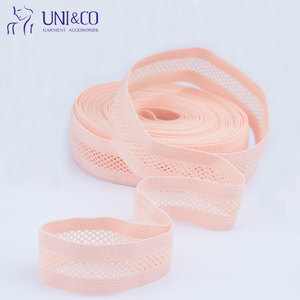 Alibaba.com offers 43,215 straps and laces products. About 1% of these are webbing, 1% are lanyard, and 1% are aprons. 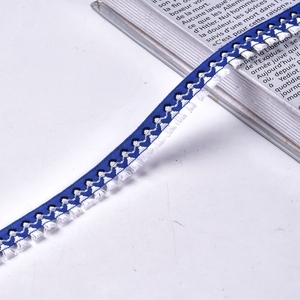 A wide variety of straps and laces options are available to you, such as 100% cotton, polyester / nylon, and polyester / cotton. You can also choose from elastic, eco-friendly, and high tenacity. As well as from printed, jacquard, and embroidered. And whether straps and laces is bags, home textile, or garment. There are 43,215 straps and laces suppliers, mainly located in Asia. The top supplying country is China (Mainland), which supply 100% of straps and laces respectively. 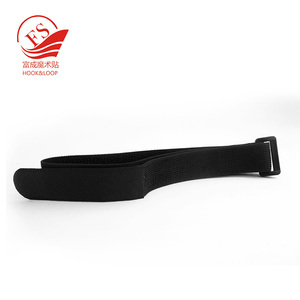 Straps and laces products are most popular in North America, Western Europe, and Eastern Europe. You can ensure product safety by selecting from certified suppliers, including 1,674 with Other, 1,290 with ISO9001, and 1,147 with BSCI certification.